Most unusual sporting events category. Marble Race: MarbleLympics 2019 Qualifiers. [EXTRA UPLOAD] 100K subs special: Marble Run with 100,000 tiny marbles! 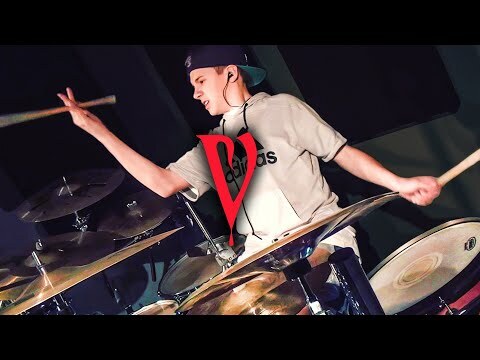 This drummer has been playing for 9 years...that's not really that unusual, in and of itself but he does Rush covers, Dream Theatre & so forth...the unusual thing: he's 12 years old! Enjoy Avery Molek! The National Solar Observatory in New Mexico reopened on Monday following days of fervent speculation surrounding the mysterious evacuation and closure of the facility earlier this month. The odd series of events, which took place on September 6th, raised eyebrows among conspiracy theorists due to the nature of the site and the fact that the FBI was somehow involved in the situation. Worrisome solar activity, aliens, espionage, and an environmental issue involving liquid mercury were among the various suggestions for why the facility had suddenly been closed with no notice. However, a statement issued on Sunday by the Association of Universities for Research in Astronomy (AURA), who oversees the observatory alongside the National Science Foundation, shed a bit more light on what caused the site's closure. According to the group, "AURA has been cooperating with an on-going law enforcement investigation of criminal activity" that occurred at the facility. They went on to explain that "during this time, we became concerned that a suspect in the investigation potentially posed a threat to the safety of local staff and residents" and, as such, opted to vacate the building as a precautionary measure. It would seem that whatever the investigation involved, the previously-worrisome security threat at the observatory is no longer an issue as AURA went on to announce that they were reopening the facility on Monday, September 17th. In a testament to the tremendous interest the strange incident generated, the group also noted that they anticipate that there will be "an unusual number of visitors to the site" and, as such, have enlisted a private security company to oversee the facility as they get back up and running this week. As one can imagine, the somewhat vague explanation from the group is unlikely to satisfy conspiracy theorists who will argue that it is simply a cover story for 'what really happened.' And unless new details surrounding the criminal investigation involving the observatory come to light, the weird events of the last ten days will likely continue to be the subject of conjecture for quite some time. The National Solar Observatory in New Mexico reopened on Monday following days of fervent speculation surrounding the mysterious evacuation and closure of the facility earlier this month. Bible says the children of disobedience have a covenant with death and with death they are in agreement . GOD can only change them or they will burn in his furnace ! Plus his unusual Tweets about the Thai cave boys situation, that 'submarine' offer (WTF? ), even going so far as to call one rescuer a 'pedo'. Yikes. 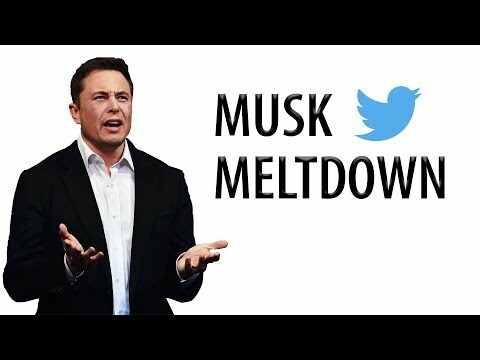 Musk Meltdown https://www.youtube.com/watch?v=W0HE9nbqJjE Plus his unusual Tweets about the Thai cave boys situation, that 'submarine' offer (WTF? ), even going so far as to call one rescuer a 'pedo'. Yikes.